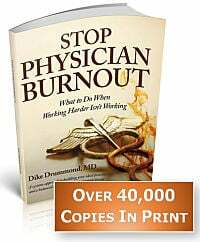 EMR and documentation join physician burnout as another DILEMMA in the life of physicians. There is no solution/cure/fix/magic pill to make your documentation chores disappear, what is needed is a strategy to get your charts done and get you home at a reasonable hour. In addition to templates, batch processing, Dragon and perhaps even a "super MA" -- one powerful component of your documentation strategy could be a Medical Scribe. In this post let me show you how to get a scribe, even if you have been told you can't have one before. This method has never failed in my experience if you follow the steps below. Two years ago I received a phone call from a physician coaching client who had just activated his scribe project following the Claw Back formula below. He was yelling so loud into the phone, I thought he was being attacked on the other end of the line. When he calmed down here is what I could finally make out he was telling me. "Hey Dike, my scribe is up and running this week. It's AMAZING !! Guess what I do at lunch time? Guess what I do at 5:30? ... I go home ... AND MY CHARTS ARE ALL DONE." 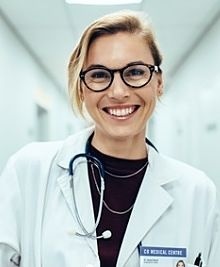 Understand this before you begin -- leaders and administrators have two concerns physicians don't ... Money and Manpower. - where am I going to get this scribe person? - where is the money coming from? "No you can't have a scribe. If I gave you a scribe, I would have to give one to everybody." please don't ever say that UNLESS you have seriously tested scribes in your organization AND KNOW FOR A FACT THAT THEY WON'T WORK!! All healthcare organizations must be running scribe or "Super MA" pilot projects in order to find optimal staffing levels. If you do not have active medical scribe pilots projects - or other team based care pilots - in action, you are understaffing your doctors for no reason. YOU are going to take full responsibility for finding, hiring and paying your scribe. This is why the Claw Back method works. You are taking the leader/administrator's two objections right off the table. YOU will find and hire and pay the scribe to prove the project will work. All you need is permission to be an innovation pilot project. Then once you and your scribe demonstrate financial viability, you will "Claw Back" the payment for the scribe from your employer. This is much easier than you may be thinking right now. Nationwide in the USA you can find one or more scribe companies in most markets sitting by the phone waiting for you to place your order right now. That's right, a trained scribe is almost certainly just a phone call away from you right now. And paying for the scribe is not a difficult assignment for most doctors for a simple reason. A trained scribe in your specialty can be knocking at your door in less than two weeks for only about $25/hour. 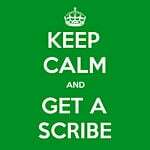 How many more patients will you have to see per day to pay for your medical scribe? ... you will be surprised. We have a number of reliable studies showing how many extra patients you must see per day to pay for the scribe. You may be surprised to learn that a primary care doctor need only see LESS THAN TWO additional patients per day to completely pay for a scribe. The actual number is in the 1.7 range. If your scribe could take 80% of your current charting activities off your plate ... do you think you could see two more patients a day? Most doctors laugh when I ask that question. They are absolutely confident of their success in hitting that bar. - At lunch time -- you will be eating lunch! - At 5:30PM you will be heading home -- with your charts done! 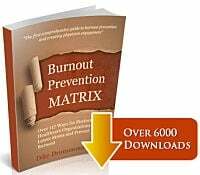 You will need a baseline of three months of your productivity data prior to starting your scribe pilot. This is the number of patients you saw and the amount you billed WITHOUT a scribe. Keep that in your back pocket. These numbers will be the basis of a very important discussion six months from launch. If you live anywhere but the most rural of locations, there are almost certainly one or more scribe outsourcing companies available to you. These are organizations who can deliver a trained scribe to you in about a week. Just call them up and place your order. Simple. Here is a google search that will get you started. Dial them into your practice and pay them directly. Your fully trained scribe will set you back about $25/hour and you will need to do an excellent job of onboarding them into your practice well. Follow whatever policies your employer requires for confidentiality. Build good working relationships between your scribe and your other team members and provide quality introductions to your patients. Don't expect them to be able to complete every keystroke of the documentation or handle your InBox, emails or other digital data streams. Focus on your working relationship taking care of 80% of your charting as quickly and smoothly as possible. This dial in process will take about three months. Don't rush it. Working on becoming a cohesive team. You pay the scribe during the dial in period out of your own pocket. This way your administration/leader can't object on the basis of cost. Run your numbers again - now with the scribe dialed in. This will take another three months with you and your scribe working as a well oiled machine. How many patients are you seeing now? If you want to show the true magnitude of the positive change of a scribe on your practice and larger life, you can also measure the following data points before and after your scribe pilot is up and running. 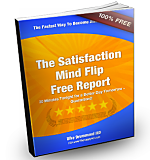 Quality indicator freqencies - mammograms, immunizations, colonoscopy referrals, etc. Here you show your administration/leader your numbers, including the fact that you saw more than enough extra patients over baseline to pay for the scribe. 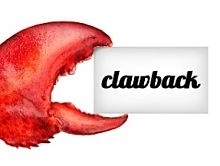 The "Claw Back" is a request that your employer now pay the scribe from your extra earnings. They take over paying the scribe because you just proved it was at least "revenue neutral" and maybe even makes the company a little extra money. I have never seen a scribe pilot fail if you follow this five-step procedure. And if your employer refuses to pay for the scribe, you can pay them yourself out of your extra income and pocket the difference. Of course this depends on your compensation formula. If you are pure FFS/RVU based, paying them yourself makes complete sense. Have you asked for a scribe and been turned down? What was the stated reason? Have you obtained a scribe and how did you do it? Do you have a scribe and what difference has it made?